Fall is here. She's getting snuggled up and cozy with a hot toddy and a good book. I get it, I really love cold weather too, but some of us aren't ready to say goodbye so soon. It helps that it appears we're having a bit of an Indian Summer right now, and the fact that I get to spend the first days of fall in our beloved Outer Banks is making the transition rather easy. That being said, enter the fragrance I've had a massive crush on all summer long. A few months back I did something that probably seems odd. 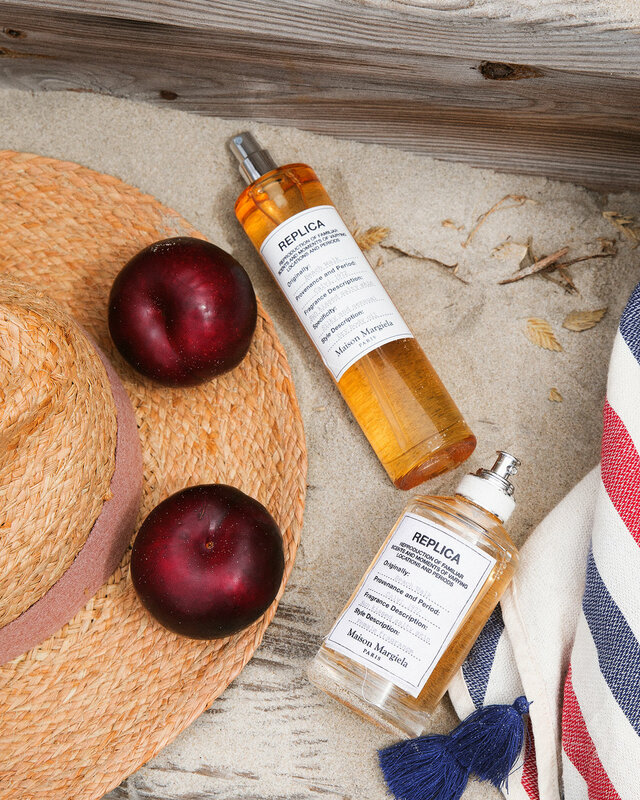 I bought REPLICA Beach Walk by Maison Margiela on a whim without smelling it first. I'd say it was the description that caught my attention, because it's hard to argue with the "sun kissed salty skin". Without worrying about giving it a proper smell, I had a sneaking suspicion I'd be into it, and was unsurprised that when it arrived, I sighed happily and knew this would be a new scent to add to my repertoire. It smells familiar, easy going and leaves a hint of salty skin lingering in the air. With scent notes listed of Bergamot, Pink Pepper, Lemon, Ylang Ylang, Transluzone, Coconut Milk, Heliotrope, Musk and Cedarwood, it was hard not to fall in love. What I also found was that it layered beautifully with my other favorite fragrances from Commodity (I did a post featuring their cocktail kit here), in particular the "Rain" scent. I wore Beach Walk for about a week before Robert asked suddenly why I smelled like the Outer Banks. It made me smile.